Back of the Book 'A holistic Approach to Arthritis and Management of chronic pain' is a sincere effort to help people in the field of complementary therapies. the Book deals with the functioning of joints and different arthritic Arthritic disorders in simple terms. It enables the reader to understand the disease the disease and explain the characteristics and limitation of different from of therapies for persons suffering from arthritis. it also deals in a splendid way the management of the disease and the accompanying pain. the monograph is unique as it deals with synthesis of different systems of medicine e.g Allopath Ayurveda, Acupressure and Yoga in the management of Rheumatic disorders. Dr. M.K Sharma completed his master’s degree in physics from Indian Institute of Technology, Delhi and obtained Ph. D. in quantum optics from the same institute. He joined Indian forest service in the year 1975 and is presently working as chief Conservator of forest in forest Department, Bihar. During the Year 1985- 86, the author suffered from eczema in the palms which continued for 10-12 years aggravating periodically. The disease could not be cured with the help of conventional medicine even after best medical antinational. However, the homeopathic treatment cured the ailment within ten days. After this incidence he studies and practiced alternative systems of medicine and has cured more than one thousand patients of different disorders. Further, he studied Arthritis in depth and helped a large number of persons having this disorder using Holistic approach. Arthritis is one of the most common and wide spread diseases of old age Know to mankind from time immemorial. Usually the joints of knees, wrists, elbows, fingers, toes, shoulders, hips as well as spine are affected by it. Rain, stiffness, swelling and ultimate disability are the visual symptom of this disease. Many forms of arthritis such as gout, anklosing spondilities, ouster arthritis and rheumatoid arthritis are genetically transferred in families. Other factors causing arthritis include injury &amp;amp;amp;amp;amp;amp; infection of the joints and auto immune reaction. Hence the factors responsible for the disease may be categorized as heredity and environmental. Further the process of evolution is also responsibly for common occurrence of arthritis. Different parts of body especially the skeletons have not yet adjust to the upright posture and two legged existence of the species Homo sapiens. This is also one of the response that arthritis of neck, back, and other weight bearing joints like hips, knees and feet are more common . In conventional medicine non-steroidal anti-inflammatory drug and painkillers are most commonly used medicine for arthritis complains. These drugs in a number of cases cause drowsiness, constipations, stomach, irritation, ulcers &amp;amp;amp;amp;amp;amp; bleeding. Recently 'designer chaser drugs' have been introduced, which counteract the side effects of other drugs. However, there is no magic cure for this disease as yet. More and more people are now aware that there are alternative healing methods available. They would like to explore the possibilities but do not know which of these therapies would be suitable for them. 'A Holistic Approach to Arthritis and management of chronic pain' is a sincere effort to help people in the field of complementary therapies. The book deals with the functioning of joints and Different arthritis disorders in simple terms. It enables the reader to understand the disease and explain the character sticks and limitation of different forms of therapies for person suffering from arthritis. It also deals in a splendid way the management of the disease and the accompanying pain. The monograph is unique as it deals with synthesis of different systems of medicine e.g Allopathy, Ayurvedic, Acupressure and Yoga in the management of rheumatic disorders. The Author deserve credit for this praiseworthy monograph. This will be a moon to the pharmaceutical already marketing Ayurveda and Homoeopathic medicines that are widely used in clinical practice. I strongly recommend the monograph to all health care workers caring for person afflicted with arthritis and chronic pain of multi factorial a etiology. Rheunmatology refers to the study of medical disor disorder of joints and connective tissues. These disorders include pain, inflammation and stiffness of joints as well as other supporting elements of muscular skeltal system. The magnitude of problem is so great that athrities itself is one of the major causes of disability especially among the elderly. With the enhancement of medical care and awareness, the life expectancy of an average Indian has increased. This has resulted in increased occurence of joint problems. The various forms of arthrities and its management have been dealt comprehensively in this monograph. The authors have emphasized the benefits and limitations of different disciplines of medical system e.g. Allopathic, Ayurveidc, Homeopathic, lklAccupressure and physiotherapy under the heading of Yoga. This difficult subject has been discussed in a common man's language and in a very interesting way. This monograph 'A Holistic Approach to arthrities &amp;amp;amp;amp;amp;amp; Management of chronic Pain' will beof immense help to patients having arthritis, their friends and relatives. Arthritis affects approximately 5-10 percent of adult population in India. In elderly people especially in those after fifty years of age, its incidence varies from 15 to 20%. A large n umber of people need daily medication and many of them consult medical practitioners regularly. However, a large majority suffers in pain silently as they do not have means to get regular medical attention. In arthritis there is chronic pain, inflammation and stiffness in joints. The intensity and severity of pain varies from time but it reminds you its presence all the time. There are large numbers of drugs, which have been invented and marketed by industry in different systems of medicine. As a result there are enormous commercial interests providing services and products to cure the disease and accompanying pain. This raise hopes and as a result you may spend a fortune to find cure, which might not be there. This book is primarily written for people suffering from arthritis, their relatives and friend. This, however, does not preclude other people to read it as they would find it very interesting and useful in many ways. There is deliberate repetition of facts at a number of places, which has been done to make the reader understand the next without referring to other chapters or even section of the same chapter. The treatment of pain is usually based on the assumption that the underlying physical cause must be found out and corrected. This approach is useful when we are treating acute pain but when pain becomes chronic as in case of arthritis, the treatment should not be confined to pain only but to the person as a whole i.e his suffering, his behavior and the environment around him. After treating all these factors you will find that pain is not such an obstacle as you think and can be managed successfully. The best way to manage arthritis is to educate the patient to handle his own handicap and manage his own pain and to teach him how to use various medicines available to the best of his advantage. The doctors must have a clear understanding of patient's conditions and properties, limitations and side a effects of all forms of treatment in use. They must be prepared to part with there knowledge and be willing to educate the patients. The patients on their part should be willing to learn and be prepared on take full responsibility of their health and handle their disease themselves intelligently and correctly. They should understand the enormous values of preventive measures and be willing to use alternative system of medicine, which have been proved to be very useful in controlling chronic pain without side effect. The book has been written on the insistence and advice of my wife who was benefited immensely in managing her chronic pain by the holistic approach using medical care based on the synthesis of Allopath and other systems of medicine. The book has been organized in three chapters. Chapter one deals with causes of arthritis different arthritis, different arthritic disorders and misconceptions regarding the disease. In chapter two, different systems of medicine viz. Allopathy, Ayurveda, Homoeopathy, Acupressure and Yoga are discussed. The characteristics of different systems and medicines, their limitations and after effects are also discussed here. The last chapter is the synthesis of different systems of medicine. Here plan for the management of chronic pain is given in eleven steps. 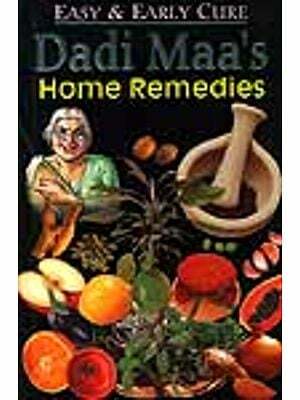 The remedies discussed and recommended are simple, practical and with in the reach of common men. I do not claim to have invented anything new in this book but have made a synthesis of different systems of medicine and have arranged the existing knowledge on the subject in such a way that even a layman can fruitfully use it. The remedies recommended are simple and cost effective and hence even those persons who do not have means to get regular medical care can use them. I am confident that this book will immensely benefit persons suffering from arthritis and chronic pain. The relatives and friends of the patients will also find the book equally useful, as they will be in a position to understand the disease, appreciate the sufferings of the patient and his behavior. The psychological and moral support from relatives and friends will help the patient in better management of his disorder and accompanying pain and his ultimate rehabilitation. The one common factor that underlines all the alternative systems of medicines described in this book is the belief in the inherent healing power of the body to cure itself. It also brings out the fact that orthodox medicine and complementary therapies are not mutually exclusive as both have role to play. A judicious use of different types of remedies will go a long way towards promoting the integrated medicine of new millennium. It took me more than twenty long years to recognize the culprit, which was slowly making day-to-day life difficult for me. During my student days, I had to stand two to three hours continuously in chemistry practical’s. After the practical, unlike other students, I used to feel exhausted with pain in legs. The complains in this regard to my parents used to be brushed aside as they considered me a delicate girl. Later in life I developed chronic pain in sole of one foot, which continued for few years. I also had pain and stiffness in the lumber region. Initially, I did not bother much. At times I contacted doctors who prescribed vitamin B complex capsules and Calcium tablets. In spite of medication the pain and stiffness continued, however, its intensity varied from time to time. Slowly my condition deteriorated further and it became difficult for me to stand for a long time at a stretch, Even during cooking I had to sit or lie down a number of times in one session and used to get tired after walking even for a short distance. Blood tests revealed nothing except that hemoglobin in blood was 10 mg% or less. The doctors prescribed iron capsules in addition to calcium and B complex. However, with all this medication neither did my physical condition improve nor the hemoglobin in blood became normal. Pain and stiffness in lumbar region, continuous heaviness in legs and chronic pain in the sole of one foot made me feet that something was wrong somewhere. Finally, there was a severe pain in the right pelvic joint which radiated through thigh, knee and leg to the foot. I got my pelvic joints X rayed and the report revealed sclerosis in pelvic joints right affected more then left very earnestly I consulted a orthopedist who diagnosed arthritis. The doctor suggested painkillers and calcium tables saying that there is no medicine for this disease in allopathy.